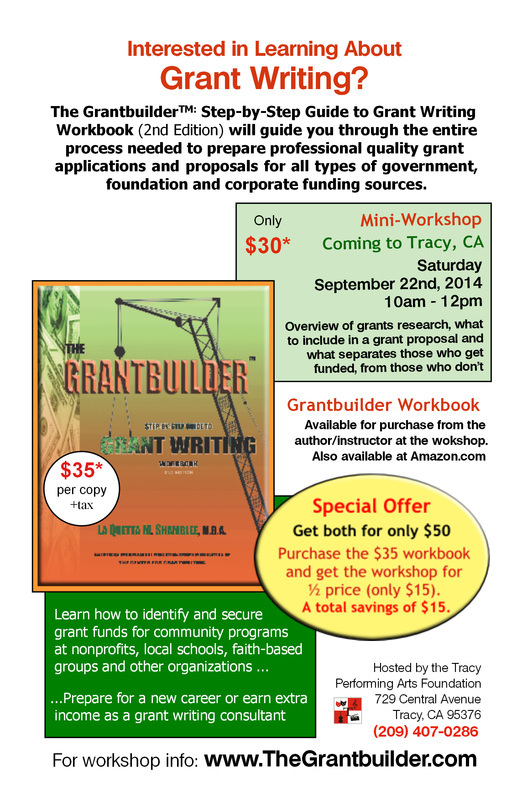 Hosted by the Tracy Performing Arts Foundation (TPAF), this mini-workshop will also serve as a fundraiser. 50% of proceeds from each registration paid at the regular price of $30.00 will be donated to TPAF. To register, contact the Tracy Performing Arts Foundation at (209) 407-0286. Your inquiry has been received and is being forwarded to the author/instructor. You will receive a response via email within 24 hours. NOTE: IF YOU WANT TO REGISTER, PLEASE CONTACT THE TRACY PERFORMING ARTS FOUNDATION DIRECTLY.